It's possible that I'm as irrationally, fantastically upset about people who complain about babies crying on airplanes as those people are about...well, babies crying on airplanes. Here's a perspective from The Economist (and I'd like to highlight FP's lovely use of the term "uncontrollable rogue states of travel" to describe said crying babies). I loved this: a Google Earth puzzle. I only got 5/25 correct but the fun was in the journey, not the score. This article really resonated with me - it's almost like she's articulating the feelings about the Breaking Dawn movie that I couldn't express on my own. 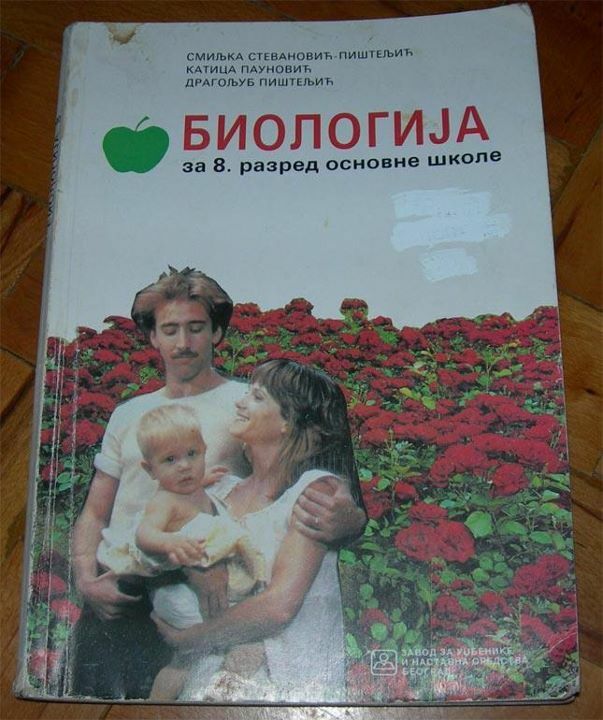 I saw this Nicolas Cage Serbian biology textbook cover on its own, completely without context, about a week ago. I think the background story actually makes it LESS funny, but whatever.